According to Mattel, "there are three modes of play—choose from ready-to-go graphics like hearts and fireworks, draw custom designs, and watch designs respond to sound and music. 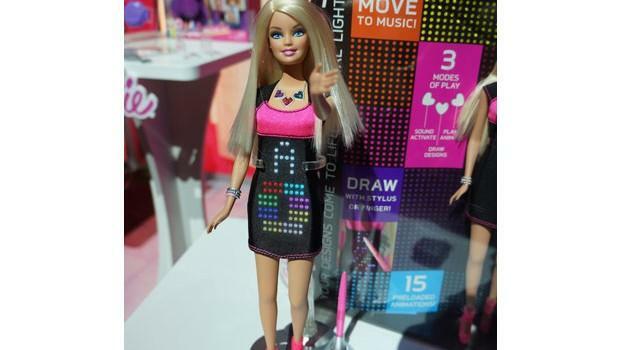 Barbie® doll’s black dress uses a 4.5 square inch resistive touch panel and 114 tri-color LEDs." The doll will be released in August and will cost around US $50.